Birmingham may be more than 200 miles south of Scotland, but that does not mean residents of the city in England's West Midland's should miss out on the festivities of Burns Night. Scots, Sassenachs and people of all geographical origins are invited to come together to celebrate the special day at the Moor Hall Hotel in Sutton Coldfield, Birmingham. It promises to be a magical evening, with a traditional four course Scottish dinner on offer, followed by entertainment and dancing accompanied by a ceilidh band. In keeping with Burns Night tradition, the haggis – a dish made with the heart, liver and stomach of a sheep, for the uninitiated – will be "piped in" by a bagpiper, while Burns' famous poem Address to a Haggis is recited. The tradition of Burns Night began shortly after the death of the celebrated poet Robert "Rabbie" Burns, when the departed's friends and relatives got together for a supper in his honour. 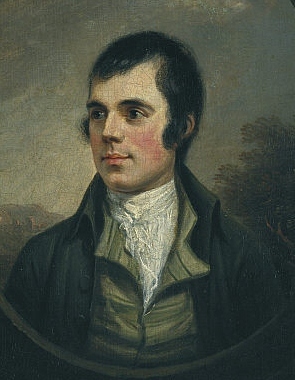 The practice has since become almost as much a part of the Scottish cultural identity as Burns' poetry itself, with Scots at home and abroad sitting down to toast their hero and their motherland. While a Burns supper is a respectfully light-hearted affair – celebrating Burns' life rather than somberly memorialising it – attendees are requested to wear formal attire. Kilts are optional, but encouraged! Tickets cost £39.50 per person, or £145 for two people to enjoy the evening and an overnight stay in the hotel.